You guys, James is turning four in just 11 days. “On May Firtief,” as he would say. The day James was born is a blur for me, so I am so especially thankful for videos like this one. I’m glad that we were able to think of a way to incorporate Annie into the moment, too: we hadn’t told anyone what the baby’s name was going to be, so Annie got to announce it. I can’t believe this video is almost four years old! In an odd way, I consider my son and James somewhat connected. Years ago, childless me found your blog and I was an instant follower, through tragedy and triumph. When you announced you were pregnant with James, my husband and I were going through some classes to be approved to adopt. We imagined an older sibling group. Instead, we were blessed with our baby son born exactly one week before the arrival of yours! We now have three beautiful children and consider ourselves so lucky. Happy 4th birthday to both of our boys! Happy early birthday, James! I am thinking of you and Mike today, Heather. 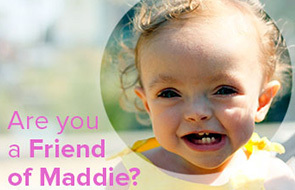 I’ve been going through the archives looking for a post you made about things that were helpful after losing Maddie, and in doing so reading about Maddie and Jackie! and just…crying. ALL OF THE HUGS.